Love these boots! So warm & comfortable! I have a wide foot but the regular width fit me best, the wide width one made the heel too loose on my foot, the regular width fit me best! Would buy these boots again for sure. 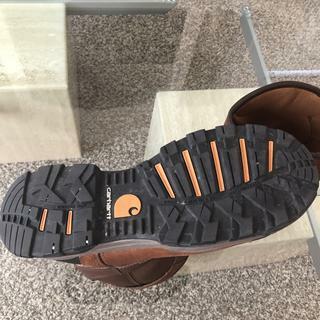 I really like this shoe, and I have tried a lot of brands. Very comfortable boots. I love them. 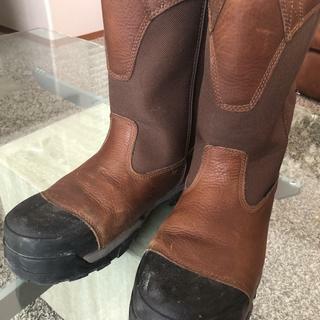 I really like these carhartt boots they are great boots for about five months. Are these boots good for wetlands?Often encounter mud and standing water. Can they be rinsed off? BEST ANSWER: I rinsed the soles and edges of mine recently with a hose and they had no issues. Although if you are in serious water and mud a rubber or traditional Wellington may be better. I was very pleased how the tread easily released the mud. These have been fantastic for my needs, mud and rain days. Yes, I wear mine everywhere and work in mud and water. My feet have never gotten wet or cold. I just spray them of with a hose and use a medium bristle brush to clean any heavy or dry mud off. Yes they can. I used these boots to work the pipeline in south Georgia in mud, dirt, water, etc. Held up great and I sprayed them off everyday with pressure washer. I have worn these boots all winter through rain ,mud and snow . My feet have remained dry and comfortable. what is the shaft circumference? What is the weight of the work boots? BEST ANSWER: This style will have a combined weight of 4.5 lbs. Do they have steel or nylon shank in the middle? BEST ANSWER: This boot will have a composite shank. Is there a steel shank in the bottom of the boot? BEST ANSWER: There will be a composite shank in this boot. BEST ANSWER: No, this item is imported. Why is your smallest shoe size 8? Have the hardest time finding a good pair of boots in my size. Maybe try expanding your selection. Does the boots come with a warranty? 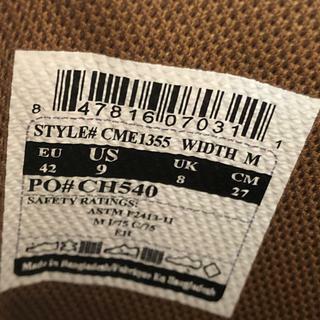 BEST ANSWER: Style CME1355 carries a one-year warranty from the date of purchase for defects in manufacturing. BEST ANSWER: This style is Waterproof breathable. 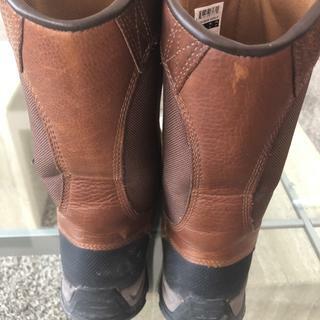 What is the slip resistance rating of these boots? BEST ANSWER: We categorize our slip resistance as Good, Better and Best. This style offers the best slip resistance. What should be used for treatment with this boot? BEST ANSWER: The best way to clean the boots is with water and a mild soap. We recommend letting them air dry before wearing them. We do not suggest putting any post waterproof application on the boots for a year to stay within our warranty policy. If and when you do, you should use a silicon base material so it does not deteriorate the silicon treated leather. This boot should remain waterproof throughout the life of the boot.